Lenses are like the eyes of our cameras, they don’t process information, they just transmit it to what’s behind. Perfect vision, or perfect eyes are always going to be an advantage in seeing, and many would argue the same can be said for the lens of cameras. Though despite this, in recent years there has been somewhat of a trend for the opposite, a trend for using lenses that impart an arguably imperfect character on to an image. Extreme examples of this are the lomo crowd and their plastic lenses. Then there’s the use of antique petzvel or aerial reconnaissance lenses to create crazy swirling bokeh. Of course, outside of these extreme examples, it can be said that all lenses have a character of some sort, and when buying a lens it’s that character we are choosing. But which is the right character? Should we pursuing perfection in our lenses character, or imperfection? And is imperfection in lenses actually a potential source of perfection in the photographic outcome? 6.1 Do you enjoy reading 35mmc? I think before I get into discussing perfection in lenses specifically, it might be valuable for me describe what I see as perfection by definition. Perfect can be defined as “without flaws” but to have something that has no flaws you must first define what constitutes a flaw. The problem with defining flaws in any subject where there is even the remotest chance of subjective opinion affecting the issue, is that personal taste gets in the way. One mans trash is another’s treasure being the well known adage that sums this up nicely. In actuality, the things in society that are widely regarded as perfect, are – in my opinion – better regarded as the average. Really, more often than not, they are just the thing that most appeals to the most amount of people for the most reasons. I suppose in mathematical terms I’m talking about the mode, rather than the mean average, but you get my point. To my mind this is something that sometimes seems to get forgotten. I think sometimes people just get hypnotised by general consensus – everyone else seems to think “this” is good, so never mind the “other”. Bizarrely these opinions, once taken on in volume can somehow – despite all logic – become the norm. I’m sure you can think of examples how modern society has defined “perfect” to be normal in a way that is of unnecessary detriment to the alternative…? Then again, there will always be a place for people liking something different. These norms, even ones that are focused on supposed “perfection”, give rise to contrarians and rebels; those who like to break free from what is widely accepted and perpetuated as normal and in one way or another pursue the abnormal, or the imperfect. This can give rise to fashions and fads and of course some of those fashions and fads rise to such levels of popularity that they themselves are integrated into, or perhaps even change what society sees as normal… or even perfect. What I find odd about all this is that – for want of a slightly better phrase – “fit for purpose” can be missed or overlooked. What I mean by this, is that in a society when one direction pushes perfection and the other direction pushes the contrary, what can be overlooked is the thing that is right for the individual. This might be an individual person, usage case, or moment in time, whatever, but it is where societally defined perfection, or indeed the contrarian created opposite doesn’t necessarily fit. Either might fit, but there is just as much chance, if not more, that what fits is something else in between. And this “fit for purpose” is actually what gives way to true perfection for me. As when one thing is entirely right and correct for another, or indeed where a series of things work together just right in harmony, as sense of perfection can become apparent. And if even just one of the things is taken away and replaced with something else – even if the replacement is the closest thing that society would deem as the perfect iteration of that thing – the whole can fall apart. There is obviously a point to my abstract ramblings, and that point is one that quite specifically relates to lenses. In the world of lenses there is an awful lot of focus on what is “good” and “bad”, where it would make more sense to identify some character traits as incompatible or disharmonious. After all, if perfection is about harmony, identifying points of disharmony would be a better place to start than trying to identify what is objectively good or bad. The problem is, disharmony can easily be confused with technologically incompatibility. For example, in my opinion, the rise of digital has played a big part in this drive toward much greater levels of “perfection” through the objective “good”. Digital photography enhances a lenses chances of “failure” by introducing greater chances of some of the more unattractive aberrations such as colour fringing, certain types of flare and possibly more…? This is almost always looked upon as a failing of a lens, which of course, in part, it is. But, the digital medium itself also plays big part in the occurrence, or at least amplification of these aberrations. The nature of a digital sensor when compared to film is very different, and these differences do play a part in these issues. Yet despite this, the blame is almost always pinned on the lens; lenses that cause colour fringing or flare on digital cameras are always seen as “not good enough”. I can see that this conception has come about because it’s possible to make lenses that don’t cause such aberrations on digital, but does it make those lenses better? The answer – at least in my opinion – is no, it doesn’t make them better lenses, it just means they are more technically compatible with digital cameras. When talking about lenses that when used with a digital camera result in largely unattractive aberrations, it’s equally valid to say that a digital camera isn’t good enough for the lens. Or to be a little more balanced in the view, the hypothetical lens and camera just aren’t technically compatible with each other. But the reality is, neither technical compatibility, or indeed technical incompatibility are by themselves precursors to the creation of a perfect image. Take the Leica Apo-Summicron 50mm or the Zeiss Otus 55mm as recent examples of such lens manufacturing achievement that remove all but the slightest of extremely minor aberrations. Given the right subject, photographer and whatever-else-variables you add into the mix, these lenses are abundantly capable of being partly responsible for exceptional photos. The problem is though, these objectively near “perfect” lenses, are also sometimes referred to as being “clinical” in their rendering. This is because, despite them being near perfect lenses, they are of course not suitable for every type of photography, or photographer. For some reason, I always think of Ming Thein when I think of these sorts of lenses. I know some people don’t like his work, but I actually really like a lot of what he does. A lot of it is clinical, clean and precise and I find a satisfaction in that, a satisfaction in the attention to detail perhaps. This attention to detail and the style of photography that it creates is often actually quite reliant on technological compatibility. He has his “ultra prints” that require absurd levels of captured detail and very little room for imperfections like distortion. But, if you read Ming’s review of the Zeiss 28mm ZF you will find mention of artistic advantage brought about by its inherent field curvature. This is arguably an imperfection, yet even someone with such high standards of “perfection” like MT can see the benefit in this field curvature for some types of his photography. Of course, all this makes things fairly complicated, if it was as simple as finding the “perfect” lens, or as close to that as possible, it would be as simple as identifying objective flaws. The problem is, when you start identifying objective flaws as “bad”, there is always the possibility that the very thing that has been identified as a flaw can actually be party to the creation of something good, or dare I say even perfect. Some objective flaws in lenses are actually quite widely accepted as fairly palatable, vignetting for example. Though more often than not objective flaws – largely speaking – are much less well regarded, and it’s often the case that lenses that suffer with these flaws get pigeonholed as “bad” without due consideration to the potential usage case of the lens. When, for example, reading that a lens suffers quite badly from distortion, and maybe isn’t that “sharp” wide open, it’s quite easy to get wrapped up in the idea that there will be a “better” lens out there. But the point is, there might not be a better lens out there for the goals of a particular photographer or usage case. 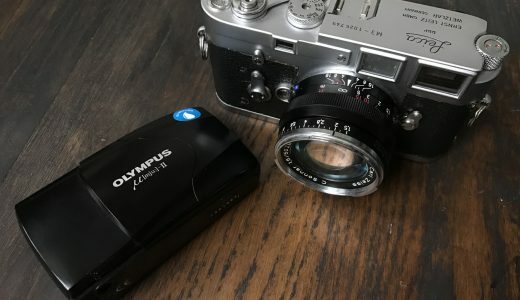 These particular “negatives” are true of the Voigtlander 35mm 1.4 classic and many people don’t like the lens for them – and that’s fair enough – but when reading about it as a lens it might be quite easy to write it off in consideration of these negative factors. Of course, as a lens it is actually capable of being party to the capture of beautiful characterful photos. And depending on the photographer and their chosen subject matter, it might actually suit a large percentage of the photos taken with it. I actually own the lens in question, and thanks to only taking photos of people at parties and in pubs with it for years, I’d barely even noticed a lack of sharpness when shot wide until I read about it. The distortion, whilst noticeable, was only ever a “problem” when taking photos of straight lines – which I rarely did. On top of this, who’s to say distortion in a lens can’t be a positive aesthetic attribute anyway. Personally I think, along with a vignette, a bit of barrel distortion can draw the eye quite nicely to the centre of an image and add a stack of character in the process. Take the above photo by Matt Marshall (a photographer I know through twitter). 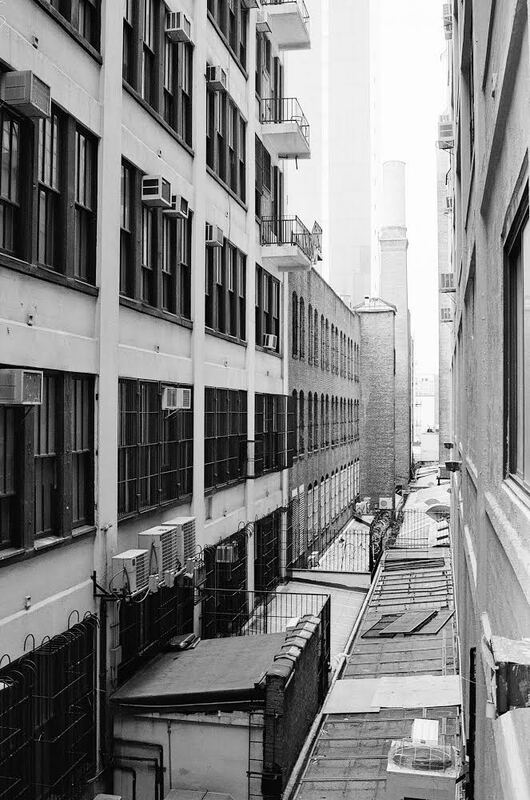 Taken with the Voigtlander 35mm 1.4, you can clearly make out distortion in the walls of the buildings. Seen as a purely architectural shot it might be considered an issue that the walls are distorted. But if you forget your eye as a photographer, the one that spots things like distortion and attaches them to a shortcoming in gear rather than the intent of the artist – as most non-photographers would – it actually makes for a very interesting photo. The lack of people, the light and haze in the background, the distortion of the walls somehow add up to give the image a sort of dystopian feel. Another great example of a lens that is often regarded as bad is the Leica Summarit 50mm f1.5. This lens is was what came before the Summilux, it was was one of Leicas earliest lenses that was faster than f2, and though reasonably impressive for its day it’s not a particularly “good” lens by today’s “high standards”. From about f2.8 and up, short of it still being rather prone to flare, it’s a pretty damned sharp lens. But below f2, especially at f1.5 the sharpness drops and everything glows. And the bokeh is quite simply crazy! For my tastes – and I’m quite forgiving – this is not the ideal carry-everywhere lens. I’ve used it as one, I just personally prefer something with a little more consistency to the results. But, it can take wonderfully characterful photos. And is in fact, in my opinion, is particularly good for portraiture. Since it is quite old, microcontrast is low, so although it can resolve detail, it doesn’t emphasis flaws in skin. Shot wide open the glowing feel it gives also adds to the gentle flattering rendition of skin. I’ve taken a few ok portraits with it, but it’s not really my most shot genre of photography. There are some photographers who have particular success with it, at least in my opinion. For me, what this all points to is an idea of harmonious balance; a point at which an image ceases to rely on its constituent parts. The point at which many factors and motivations come together to create brilliant photo. At this point a the choice to shoot with a vintage lens, a modern lens, a “perfect” lens or a “poor” lens becomes invisible and what is left is purely the right aesthetic for the image. It is when an image ceases to rely on any individual part, it ceases to be about any piece of the puzzle. The parts of the puzzle disappear and the full picture, or to break from the aforementioned analogy, the perfect photo, is revealed. At this point, the choice of lens becomes both entirely relevant and indeed entirely irrelevant at the same time. It is relevant to the photographer, in as much as it is testament to his or her’s skill and creative eye. But to the viewer of the image, the third party, it is meaningless what lens was used. If the image to the viewer feels like a perfect image, that all the pieces of the puzzle fit together to create something of aesthetic perfection, then whatever the lens used, that lens, for that photo, was the perfect lens! Which of course actually means something quite interesting; it means finding the perfect lens is easy, it means all lenses are potentially perfect! The difficult bit is choosing what to point a lens at… not to mention getting all the other variables right…! A fascinating article. I think you are on a journey of discovery that will lead you into all sorts of unexpected places. I know mine did. You rightly separate the concepts of “perfection” and “character”. It is not easy to define a perfect lens; it is far less easy to design and make one. You are correct to identify that character is defined by falling short of perfection in one or more areas, in a way that does not detract from – and might even subjectively enhance – a pleasing rendition. I would like to introduce another term: Optimal. I use that term to define a lens whose design strives for perfection in all areas, maximising what contributes to a pleasing rendition while minimising undesirable characteristics that detract from it. Optimal: Leica 28mm f/1.4 Summilux-M ASPH; Leica 35mm f/2 Summicron-M V4 (last pre-ASPH); Leica 50mm f/2 Summicron-M (any version except earliest); Leica 90mm f/2.8 Elmarit-M (and -R); Tamron 90mm f/2.8 Macro. Character: Petzval 85mm f/2.2; Leica 90mm f/2.2 Thambar; Leica 35mm f/1.4 Summilux-M (for the “glow”). Anything from Lensbaby. Perfection: Leica 35mm f/2 Summicron-M ASPH; Leica 50mm f/2 APO Summicron-M; Carl Zeiss (Contax 645) 120mm f/4 Apo-Makro-Planar T*; CoastalOpt (Jenoptik) 60mm f/4 Makro; Caldwell Photographic 120mm f/4.5 Macro UV-IR Apochromat. The last two were both designed by Dr J Brian Caldwell and are in my opinion the closest to perfection of any commercially available lenses made so far. This is by no means an exhaustive list, merely some suggested examples. Other photographers will have lists that look different. But in my judgement, these are landmark lenses that have defined optical achievement over the years I have been shooting film and digital. Definitely on a journey, this blog is pretty much a representation of that journey. I’m not sure I agree with your interpretation of what I am saying as character being something that is a fall short from perfection. My point is more that any of the lenses you mention could be perfection if pointed at the right thing by the right person. I’m trying to say that the lens is really I just part of the creative process and that the objective qualities of it, and the understanding of those qualities is key to that process. I understand your preferences, but I am trying to discuss the concept of a perfect lens outside of preference. Hmm … my definition of a perfect lens cannot include ‘character’, otherwise it would not be perfect. That’s why I used the term ‘optimal’. To illustrate this by example, Brian Caldwell’s lenses are as near to perfection as any I have used. On any objective measure, they achieve outstanding performance with no vices. However, as a social photographer, I find them a little too perfect. The qualities I look for in a lens for social photography include some spherical aberration to construct smooth background bokeh and give a flattering rendition of facial imperfections. Such a lens is not perfect in objective terms. A lens that is objectively technically perfect would almost eliminate spherical aberration giving sharp-edged bokeh and rendering every facial blemish very clearly. The spherical aberration that makes a lens ideal for me is part of its character. It’s a flaw to someone who is looking for optical perfection. That’s why I avoided the term ‘perfect’ for what is a flawed design (albeit the flaws may be intentional) and introduced the word ‘optimal’. In this case, ‘optimal’ is not analytically and quantitatively ‘perfect’ but qualitatively ‘perfect for me and my particular use’. I hope that clears up any confusion and does not add to it. Just semantics isn’t it … I know what you are saying, definitely, it’s just a different idea of what “perfect” means in both in this instance, and wider. Excellent article Hamish. I concur pretty well with everything you say. I’m glad you did not go into detail as to which lenses are perfect for you as that would somewhat have undermined the premise of the whole piece. I would like to add one or two points to the discussion. Having started out as a 35mm user, I had become conditioned to the need for fast lenses to capture images in available low light, therefore the faster the better. I used to wonder why MF and LF lenses were slow by comparison, then I bought a Medium Format camera, in my case a Contax 645. It was then I realised why these lenses were ‘slower’. The depth of field at f2 is way way thinner than that of an f2 lens on 35mm, probably akin to f1. That for me illustrated why what we may apply as perfect for one format does not apply to others. Another thing I mused over relates to the picture you posted here of the buildings through the Voigtlander 35/1.4 lens. To amplify the point you make, I’d add that when looking at a photograph like that, our eyes/brain corrects small flaws in the image. You mentioned ‘distortion’ which can be a loaded word. When I look at the picture I do not see curved lines and odd perspective. I see straight lines because I know that is what they are. Of course in cases where the lens has lots of distortions that may not be the case but then there are other uses for that effect s you well said. Related to that is that the world is not made up from perfect cubes stc. It frustrates me when so called ‘pixel peepers’ use MTF charts etc to decide what lens is best. Decades ago it was pictures of HMS Belfast in AP magazine. In the real world who cares? Or indeed do the miniscule differences show up in a photo anyway? How many people print their photos rather than blow them up on a monitor? I like the summary of the comment above regarding Optimal. It supports well what you said but in fewer words, though he has the benefit of the context you amply provided. For me, the “look” of an image is what counts. It is the combination of all of the elements you mention. At some point I’d like to explore Large Format, which has to be The Daddy. However the Perfect format, like the Perfect lens is just as dependant on similar principles, don’t you think? I certainly do think … I suppose that was the point of what I was trying to say – The act of photography is really the control of a massive amount of variables. Picking the right variable to work with the rest of the variables, for capturing an almost infinitely variable wider world provides us photographers with an infinite learning curve… Saying that out loud makes me wonder why I bother?! 😉 The joy is the path though isn’t it? Anyway … You make an interesting point about the brain correcting curvature. I wonder if though, that subtle distortion, does it have an impact … Maybe on the subconscious. In Matt’s photo it has a look and feel, that feel is likely impacted by the distortion even if it isn’t immediately obvious. Do you think?? It is true that the path is sometimes the end result. How many times have I bought a camera thinking that ‘this is the one’? GAS! As regards Matt’s photo, I didn’t see much distortion. 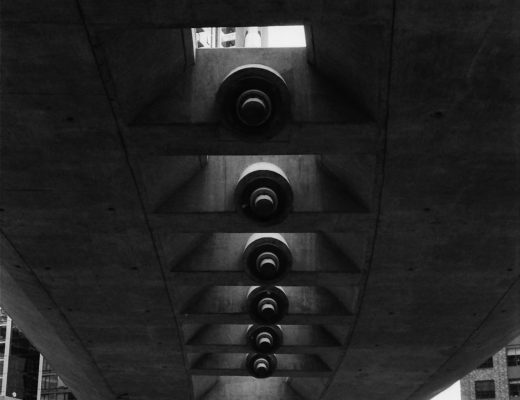 I see pictures like that as either a picture of lines and symmetry or asymmetry with some artistic relevance, or just a test picture of some kind. In any case I’d not look at such a photograph for more than a second or two as it does nothing for me. Without the context of critique, I’d never even think of looking for technical faults. It is hardly Holga/Lomo or Impossible film in terms of glaringly obvious failure. Having looked again the distortion is apparent mostly in the top left hand corner. I think I crop that out in my mind as it is extraneous detail. Sorry, that adds nothing to this discussion. Another factor to throw into the mix is price vs. quality. There is only one criterion of “good” or even “great” glass, which is does the viewer like the look of the photographs it produces. In a blind test of images, I’d wager there’s almost no connection between a lens and its price tag. Some lenses are much nicer to use, and some certainly feel better than others, but those factors apart the disparity between a compelling signature look and the market value attached to it bear little relation. For many people the cognitive dissonance is too much, and they stick with what the market and advertisers tell them is the thing to have. For those prepared to look over the edge and beyond the hype however, there are some lovely lenses that can be had for little cash. For anyone looking for a neutral, “modern” lens with micro contrast and sharpness, Nikon’s 50mm f1.8 and f2 manual lenses probably provide the best bang for a buck, and most have the advantage of being built like tanks. If your tastes run to a more niche look, 3-element lenses have a lot going for them. Triplets typically look soft wide open with lots of swirly bokeh – otherwise known as uncorrected astigmatism – but sharpen up nicely without ever getting that contrast buzz reviewers love but can somehow kill any atmosphere. Medium and larger format triplets can provide breathtaking images as grain sharpness moves to the background and saturation and tonality come forward. Lens condition is something else that can pay dividends. Any suggestion of fungus, haze or scratches means prices plummet, but they have different effects on image quality. Personally speaking, I avoid haze completely, it lowers contrast but has few positive benefits. Fungus on the hand rarely shows unless it’s extensive, and then it tends to spread specular highlights which add interest to flare. Image quality is surprisingly resistant to scratches, with the obvious exceptions of gouges in the rear glass and even those, if the lens comes cheaply enough, can give some interesting anomalies. All the above can see market values drop exponentially. Experiment pays. I have a Zeiss Sonnar, a post war one. It’s delaminated to a point far beyond what most people would consider still useable, but takes photos with a wonderful character. My exposure is a bit rubbish with it, but have a look at some of the results here. Not ideal for 99.9% of circumstances, but I got one shot of my wife with it that I think is just beautiful! Some lenses take more patience, and more selective use… but as you say, sometimes, experimentation pays! I couldn’t agree more about the Voigt 35/1.4. I have the SC version and had a ZM 35 C Biogon at the same time trying to decide between the two. The little C Biogon is bitingly sharp and nearly “perfect” as a lens can be…but in the end I preferred the Voigt 35/1.4 because of the so called “flaws.” That little guy is full of character and I love the prints I get from it. I really should shoot with mine more! Thanks for pointing me to this article Hamish! I like the “fit for purpose” idea. Read this one from the Sonnar article- The most perfect lens I have was not designed for a camera, it was used on an Optical Computer in the 1980s. $40K, the metal in the barrel was specially formulated to prevent focus shift with temperature. Worked for 1 wavelength, used with a LASER. Within those bounds: perfect. No lens is perfect in all situations. Knowing which lens suits the mood the photographer is looking for is where skill and experience come into place. Some situations call for a Summarit, some a Sonnar, and some an ASPH optic. Sometimes you know the mood you want, and have to get a lens just to suit it. Or modify one. Not as hard as it sounds. There is nothing like a “pefect” lens in universal – just in a special case. I would prefer a 135 or 105 lens but this will change maybe in a few years when my style changes. So the perfect lens will “change” too ! I recently acquired an old Fed 3 with Industar 5cm (!) f2.5 lens. 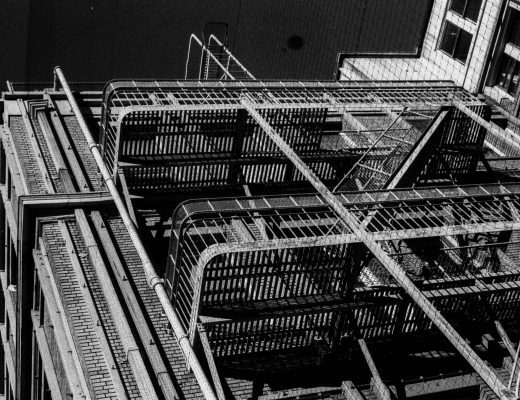 The first roll of film I put through it was Delta 400 and the results were astonishing – it made everything look as though it was shot in the 1960’s. There was a kind of haziness and lack of clarity yet that somehow enhanced the picture. It made me realise how little I know! I have to agree, there is no really perfect lens. Like any tool, it is highly subjective and also subject to trends. For example, ten years ago, almost no manufacturer would boast rounded aperture blades. It was only the rise of prominence of bokeh (the word itself only appearing in use in the end of 1990s), which created new demand for even smoother backgrounds. These days, all the new high resolution fullframe cameras seem to require a new generation of lenses, which are perfect across the field from wide-open. To me, this creates lenses, which are too large to carry and it practically negates the size advantage of a mirrorless camera. But, we have a trend of primes, which are larger than many zooms just a few years ago. For size reasons, I chose Fuji X-T10 and later 20 as my go-to camera and I couldn’t be happier. 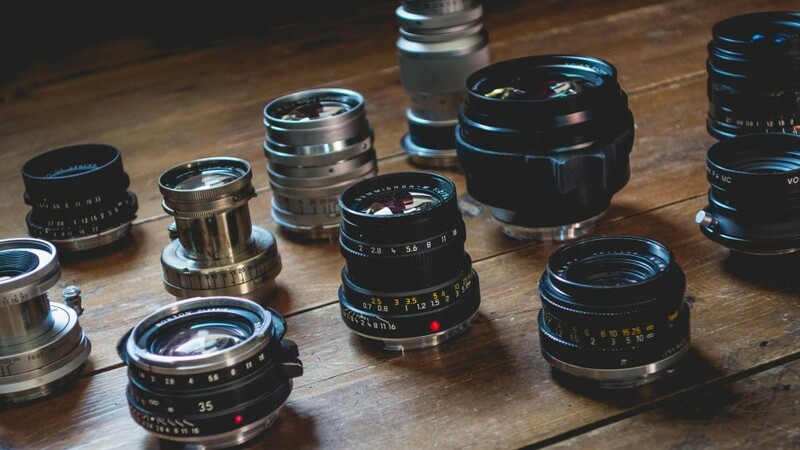 Another big trend was the rise of vintage lenses and their retro rendering aesthetics. This movement (in greatest exaggeration represented by the Lomography) deliberately shuns perfection for “character”. So, what to choose? I have found the best lens to be the one that fits my style of photography, i.e. reasonably sharp, small and can focus quite close. To this day I fondly reminisce of Pentax DA 21 mm Limited, which, despite its many “flaws” gave me some of my best pictures. Another good example is the time when I was choosing between Voigtlander Nokton Classic 35/1.4 and 40/1.4 (I use the helicoid adapter to overcome lack minimum focus distance on Leica). Those lenses are very close on paper, but for some reason, the 40 mm focal length just sits better with me, I find it quite universal, and it has visibly better corners on my Fuji and that’s just 5 mm difference! I absolutely adore the bokeh and the shift between sharp and unsharp area in my 40 and won’t give that lens up any time soon.